We had a lovely day walking on High Pike and Carrock Fell in early August 2013. 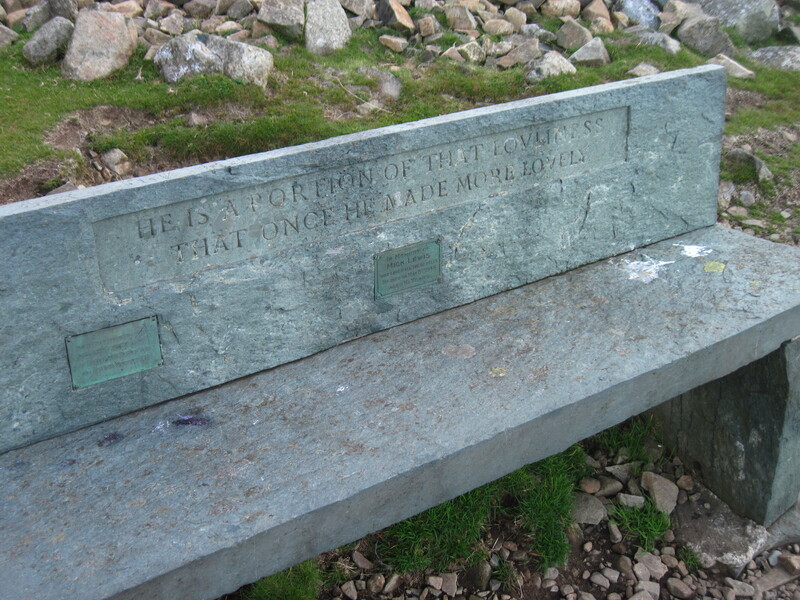 At the top of High Pike this slate bench which commemorates the short life of Mick Lewis, who died aged 16 years in 1944 on 8 May. This has become a land mark and is also an excellent place for a rest. The strong breeze when we were there stopped us from sitting but we gave a thought for the young man who enjoyed the fells and died so early in his life. 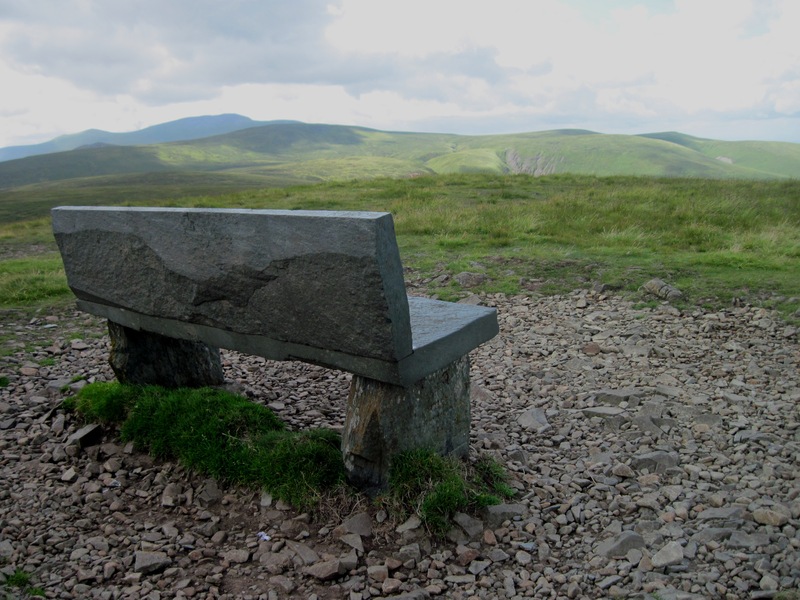 Summiteer on his walking blog, says that the slate bench replaced an iron one in 1961. The plaque to Mick Lewis’ mother, Millicent Mary Lewis, is also on the bench but has faded from time; looking closely you can read that she lived in Badger Hill, Nether Row, a nearby village and died in November 1970. We finished off our walk with a pint in the wonderful Old Crown pub in Hesket Newmarket enabling us to try some of the excellent beers they brew there. The view from the bench on High Pike. 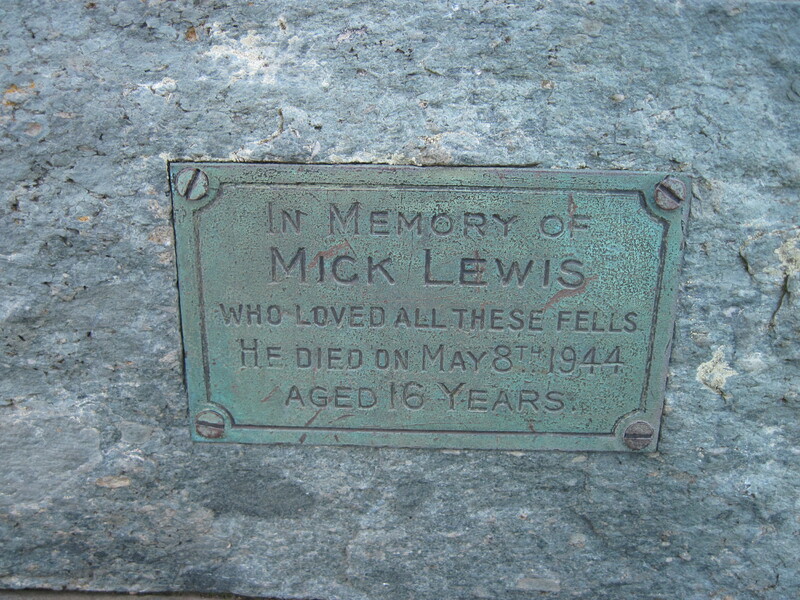 The bench also has a memorial to Mick Lewis’ mother but the engraving has suffered in the extreme weather on top of the fell. In memory of Mick Lewis who loved all these fells. He died on May 8th 1944 aged 16 years.